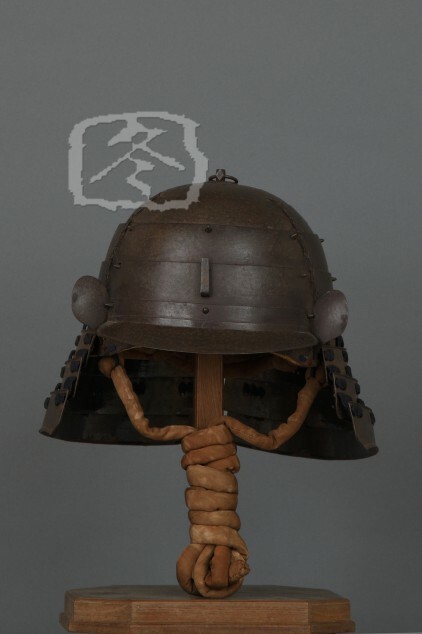 The helmet bowl is in ‘goshozan’ (higher at the rear than the front) form. 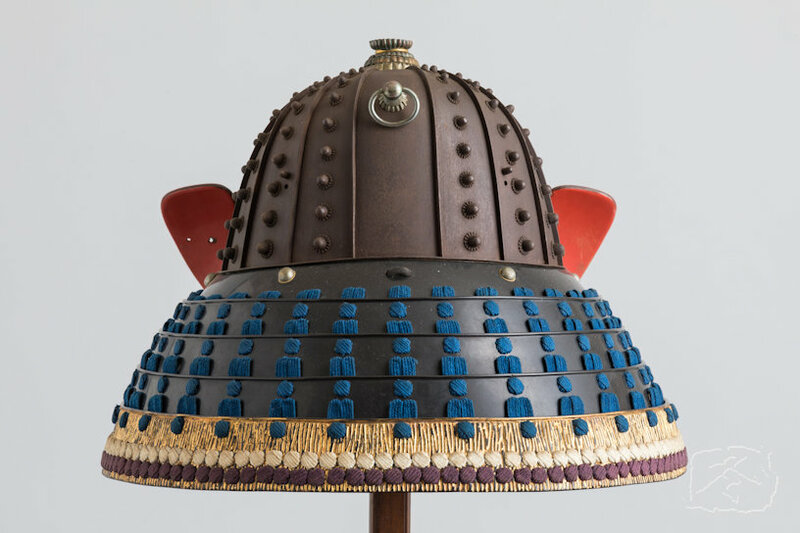 Each plate is held with nine standing rivets on small washers. 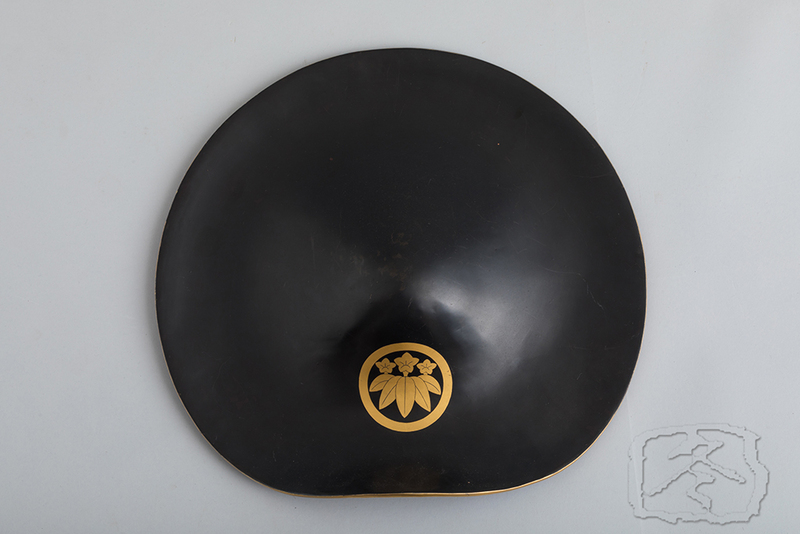 The ‘mabisashi’ (peak) is decorated with very fine plum blossom ‘kirigane’ applications. 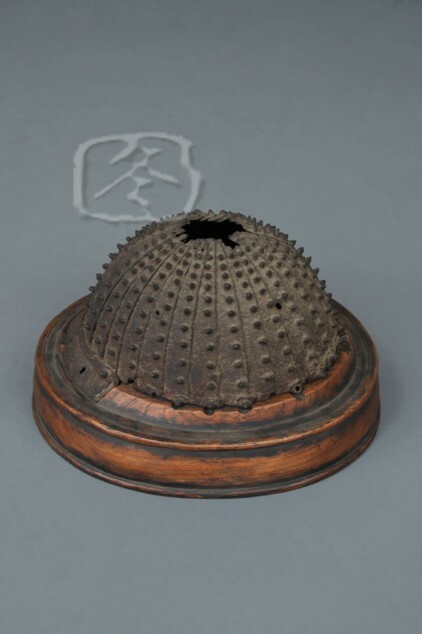 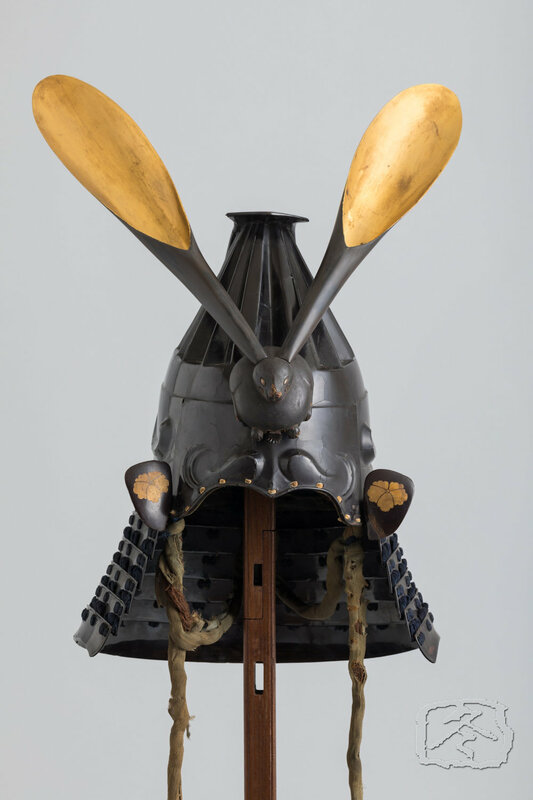 The ‘tehen kanagu’ (metal fitting surrounding the hole at the top of the helmet bowl) is made of six tiers of floral shaped soft metals. 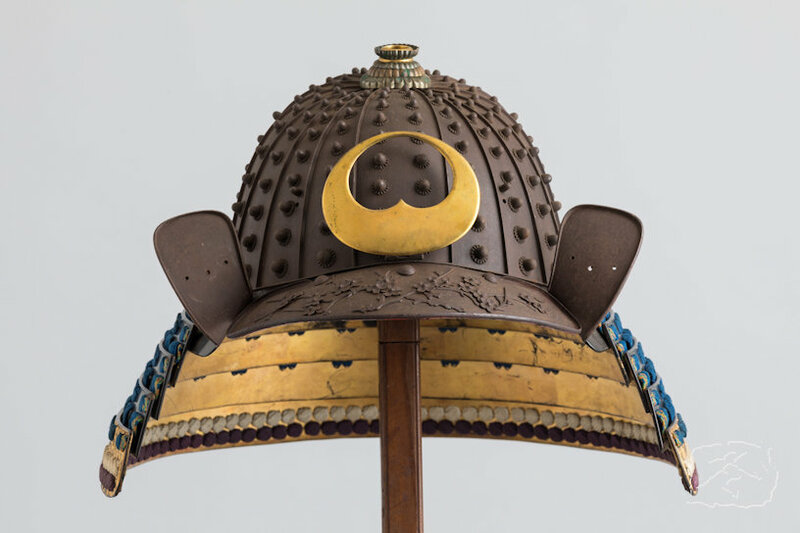 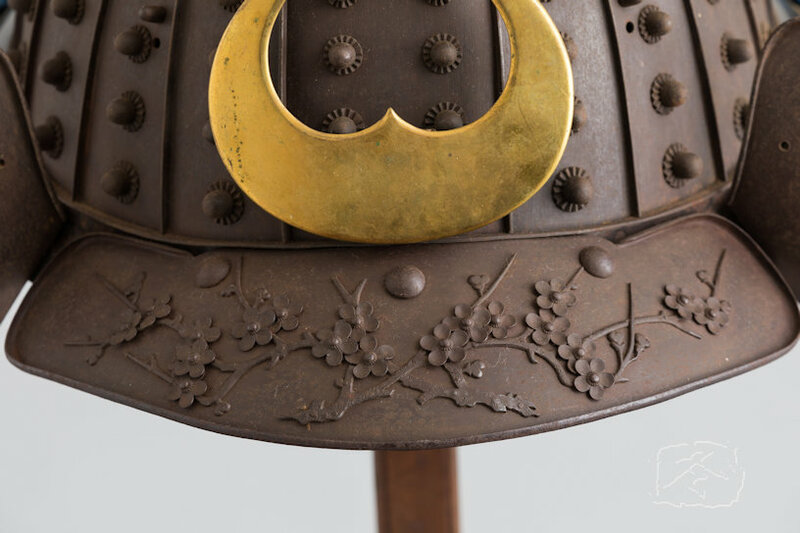 The ‘maedate’ (forecrest) is in typical Kaga style, made of gilded copper. 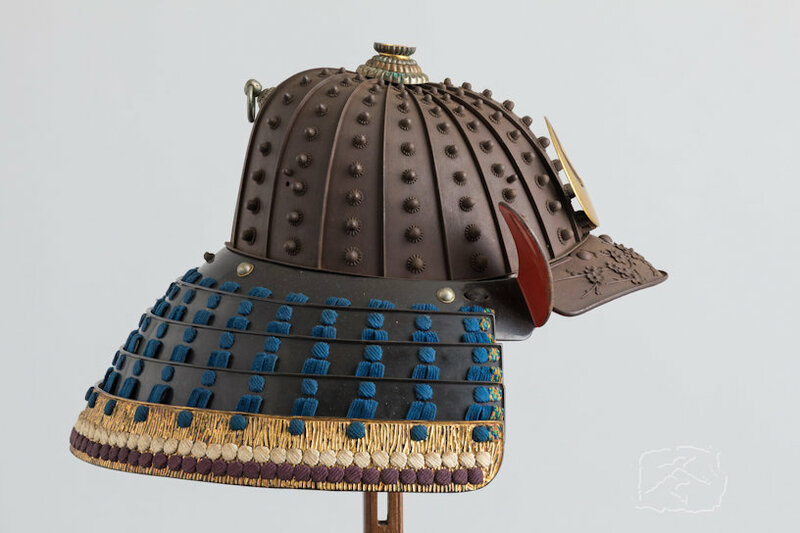 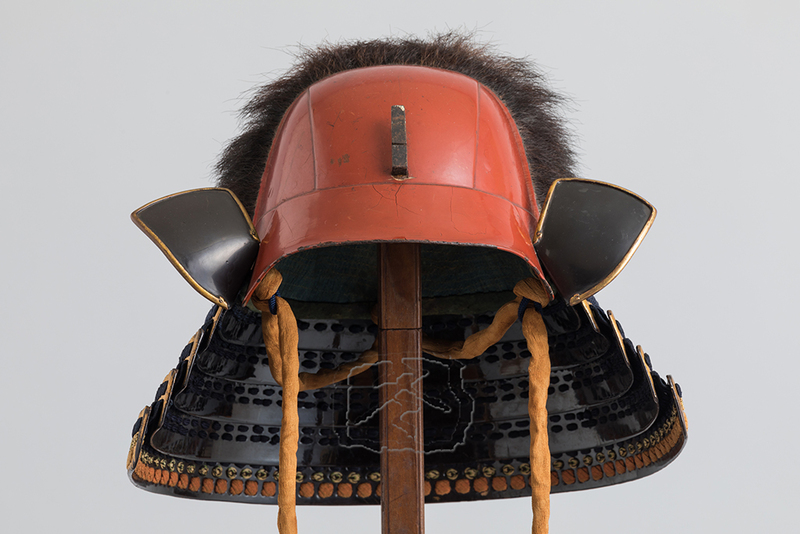 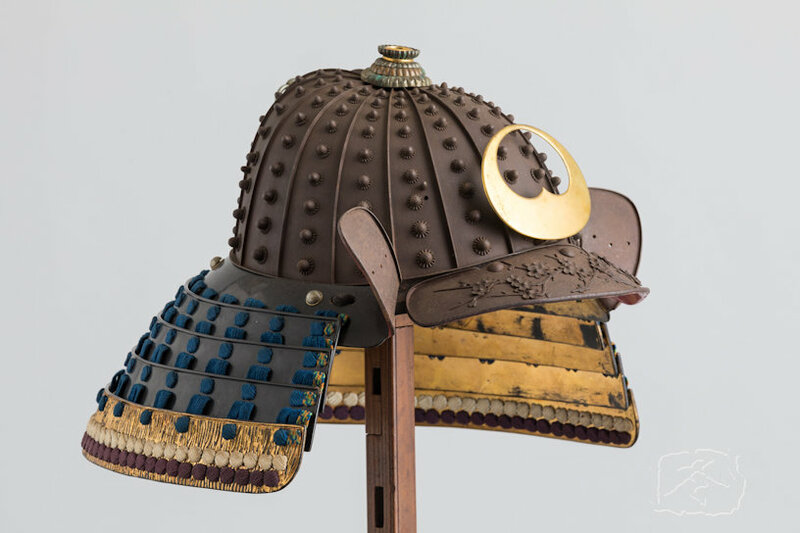 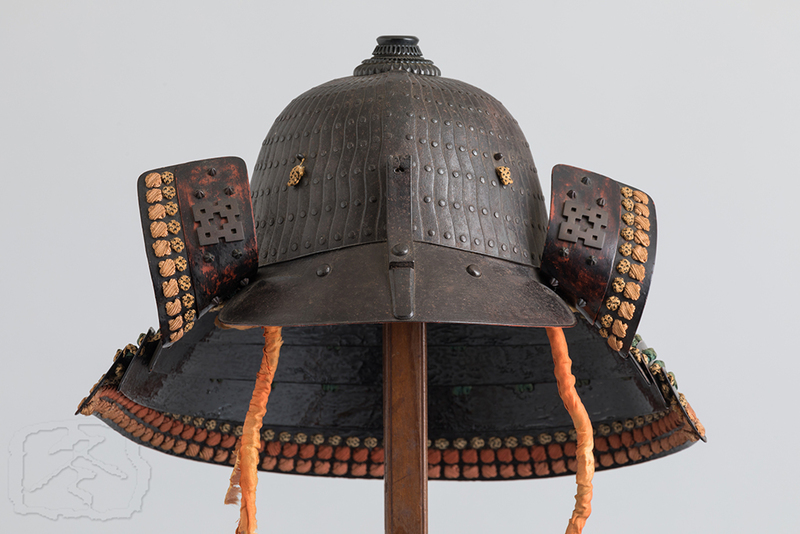 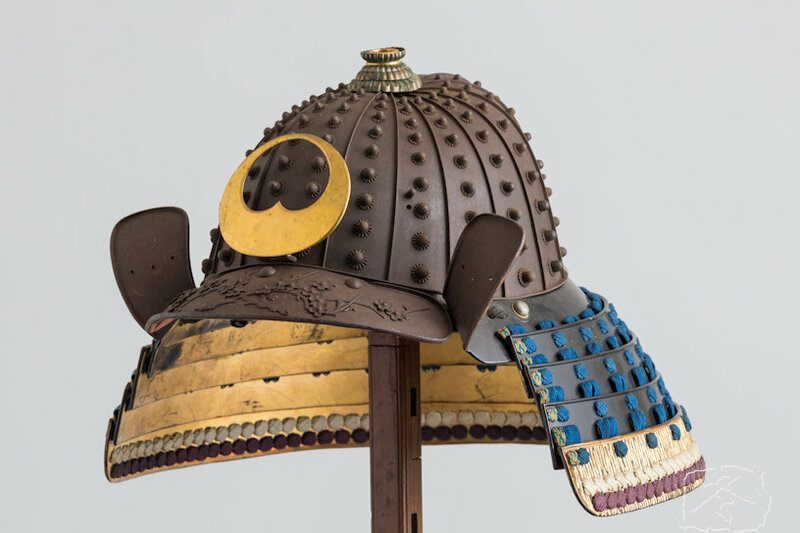 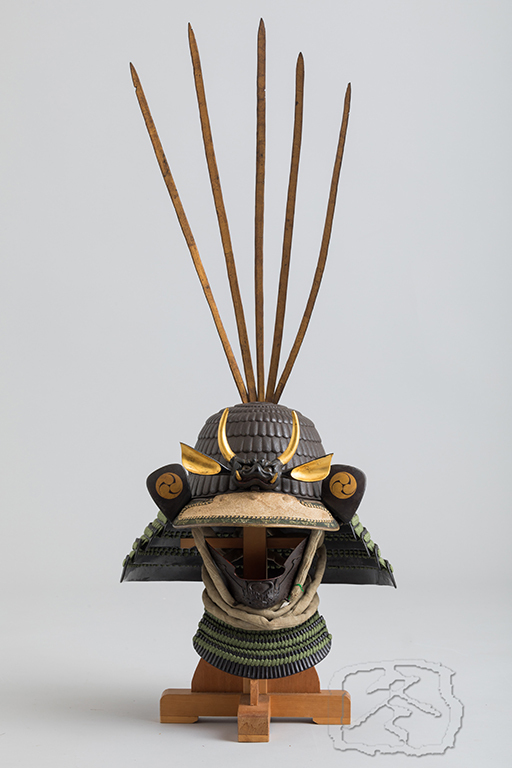 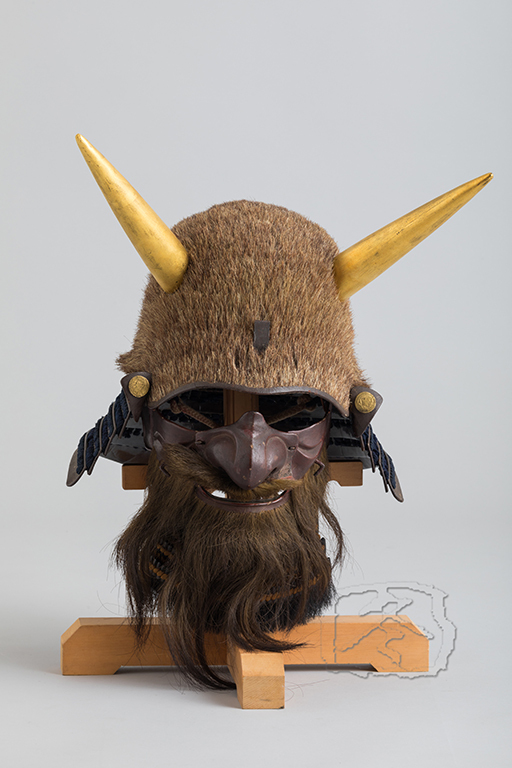 The ‘manju shikoro’ (rounded neck guard) is made of five lames of black lacquered iron with gilding on the interior. 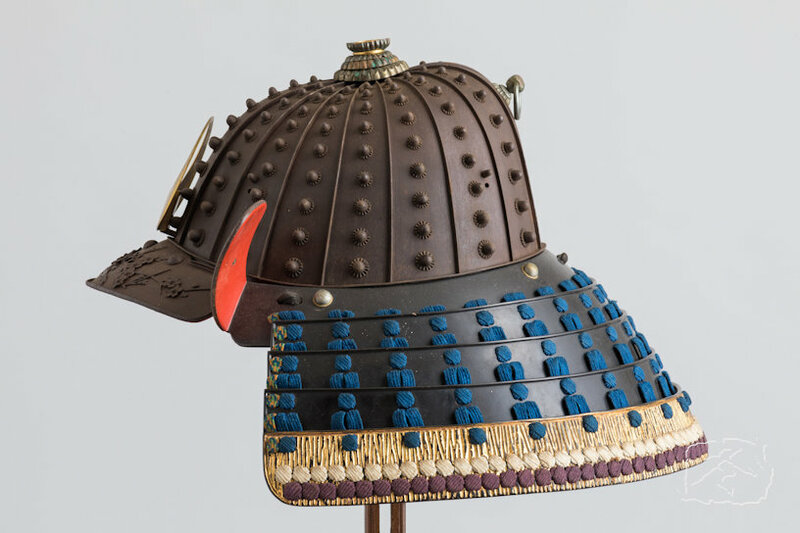 Laced with ‘sugake’ (wide spaced) blue silk lacing.